This packet yields approximately 8 plants when started inside. Rare in grocery stores, 'Sun Gold's' plump, tangerine-colored fruits are a special treat at the peak of flavor in the garden-very sweet and juicy! Provide support for vigorous vines that easily reach 6' long. Pick a bit early and ripen indoors at room temperature. 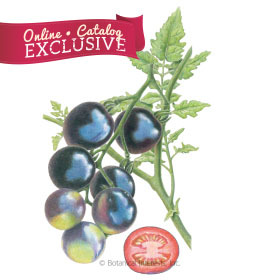 Low-acidity tomato. Disease resistant. 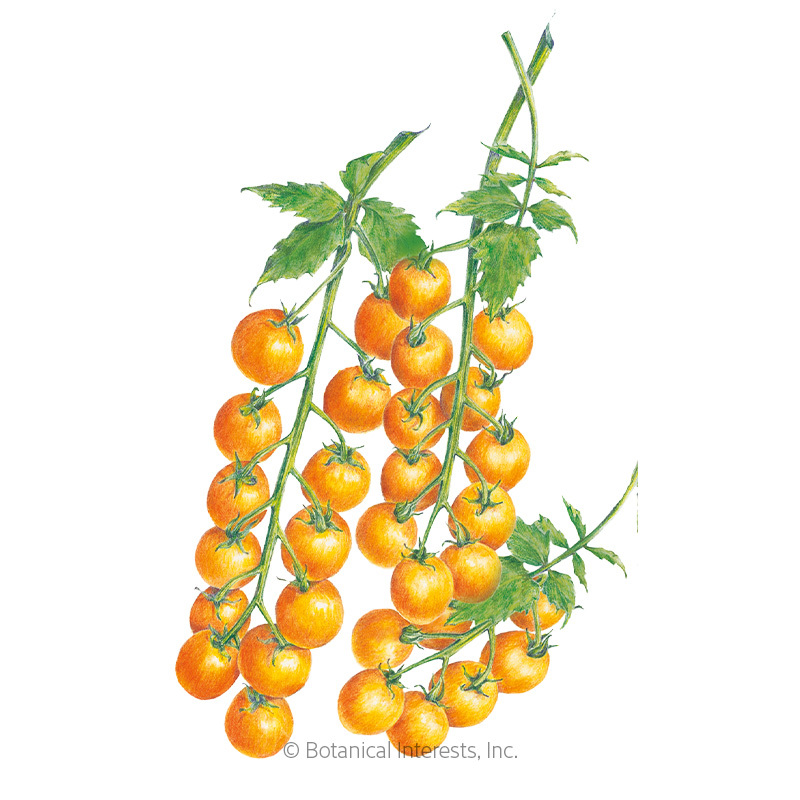 Variety Information: 1" diameter, bright tangerine colored fruits in clusters of 8–14. Prone to cracking when fully ripe and well-watered. Pick when fruits begin ripening and ripen on counter to avoid cracking. Disease resistant to fusarium wilt and tobacco mosaic virus. Harvesting: 'Sun Gold' tomatoes are at the peak of sun-ripened deliciousness when golden and have a slight give when gently squeezed. I grew these for the first time last year in a large container. The plant did amazing and I was getting tomatoes from it all the way up through late September. 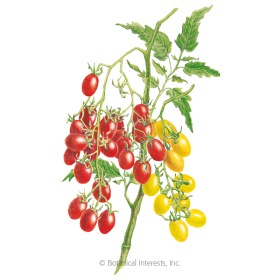 These tomatoes are sweet and delicious - use them with salads or as a convenient snack by themselves. I had so much by the time the first frost came around I froze them in a gallon-size plastic bag. A few months later I used them to make a roasted tomato sauce that was out of this world. I definitely recommend! These little Sungold tomatoes are my favorite tomato of all times. They are the sweetest as well. When they are dried they almost taste like candy and when I have too many of them to eat I simmer them down and they make the most tasty and interesting sauce. They other thing I like about them is they are good during most stages of the ripening process but the more orange (almost red) they get the sweeter they are. It just wouldn't be summer without my Sungolds!!! The first tomato I ever liked! 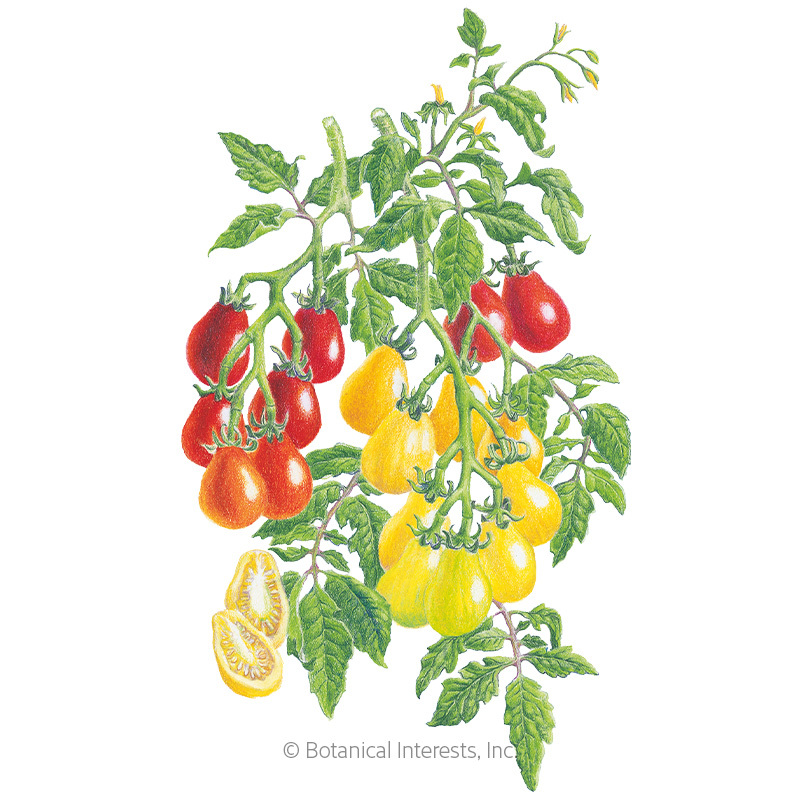 I discovered the sun gold tomato when living in Maine and this quickly became the first tomato I've ever liked. They are my absolute favorite and I make sure to grow them every single summer! Everyone that I've introduced this tomato to loves them as well. I've grown these two summers in a row. The first summer, I grew one plant, and they were an absolute hit. Second summer, I grew three, and had more delicious tomatoes than I knew what to do with, so gave tons away, and everyone else loved them too! 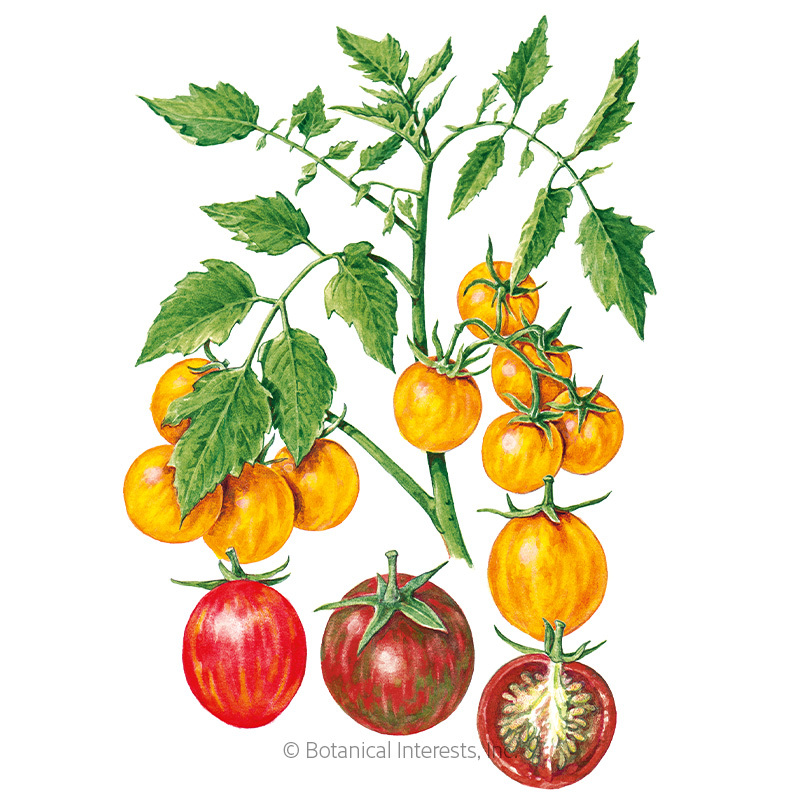 I definitely recommend to all gardeners and tomato lovers. The plants are very tall and hardy, even when I'm a bit lazy about watering I still don't get a ton of split fruits! An added bonus is that these sweet little gems add nice splashes of vibrant color to the garden. I think I had a bunch of volunteer tomatoes from the ones that dropped at the end of the season as well, although they were not Sun Golds, they ended up being little red grape tomatoes, so perhaps I'm mistaken about which plant the seedlings came from (but I only grew Sun Golds in that spot) Still very cool either way! I plan on growing these every year!